Studies have shown that most Americans own a pet; nearly 40% of households own at least one dog and 34% have one or more cats. Popular holiday destinations have taken note of this fact and as a result more and more cities across the country are welcoming man’s best friends into their parks, hotels, beaches and even restaurants! With the holiday season drawing to a close, this is the last opportunity to pack your bags (and Fido’s) and plan a trip that will get everyone’s tail wagging! 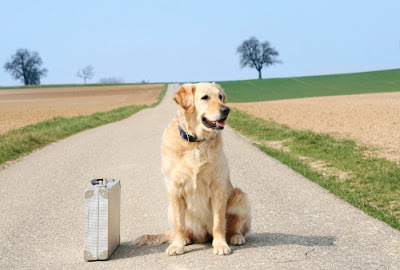 Here are three Pet Friendly Travel Cities in the U.S; provided by Animal Planet, and given the doggie seal of approval by the team at CanadaVet! In a city that never sleeps, there are nearly as many activities for you as there are for your pet. New Your Dog Tours offers three doggy and me excursions; to Downtown, Midtown, Central Park and the West Side. Saks, Fifth Avenue and Tiffany’s, three of the city’s most elegant department stores allow you to bring along your furry friends whilst you shop up a storm. And when it comes to pet friendly accommodation, you’ll find no shortage of pet friendly hotels. If by chance you happen to be on a business trip without your pet, the Soho grand will loan you a Goldfish! No wonder it has been called one of the continents “best pet cities;” with over 20 city parks classified off-leash dog areas where pets are free to roam. When in Portland, you can’t miss taking Fido to the Iron Mutt Coffee Company where your pampered pooch will receive a free dog biscuit; and if it’s something a bit colder you’re after, stop off for a beer at the Lucky Labrador Brewing Company. After a long day out exploring the city, check in at the Hotel Monaco, one of Portland’s favoured pet hangouts. When you arrive, your pet will be greeted by the Director of Pet Relations; a friendly golden Labrador retriever named Art; who will see to it that your four-legged VIP has an unforgettable stay. Welcoming over 50 million tourists a year with attractions including Sea World, Universal Studio and Disney World, it’s no wonder that many local attractions and accommodations also welcome our four legged friends. Even though Fido is unable to accompany you on Splash Mountain, many of the theme parks will pet-sit for you while you enjoy the attractions. Disney has five kennels; at Magic Kingdom, Epcot, The Hollywood Studios, Animal Kingdom and Fort Wilderness, that cost about $15 a day. And several Orlando area hotels are pet friendly, especially the Loews Portofino Bay Hotel and Royal Pacific Resort. Many of Orlando's restaurants also welcome pets. In 2006, Governor Jeb Bush passed a doggie dining law that allows pets to sit with their owners in all outdoor eating areas! Do you take your pet away with you on vacation or do you sacrifice your vacation and travel plans due to your pets?